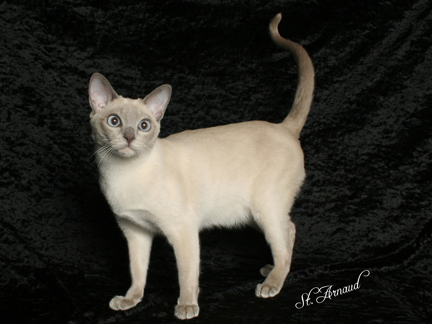 From time to time we show a Tonkinese. 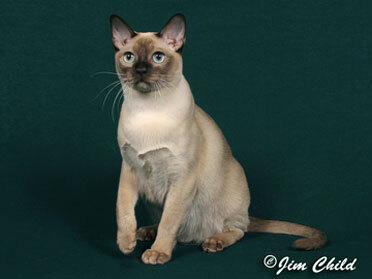 The Tonkinese combines the features of the Burmese and Siamese breeds into a cat with moderate features. 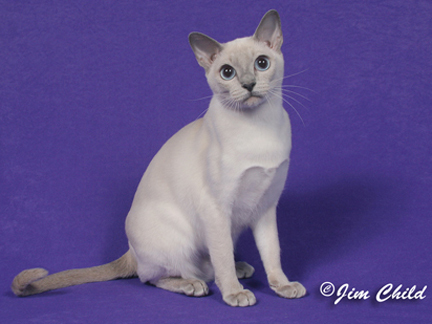 They are noted for their coat pattern and eye color. GP Wenlock's Samson of Aar-gee Em. GP Franklee Irish Coffee of Aar-gee Em.